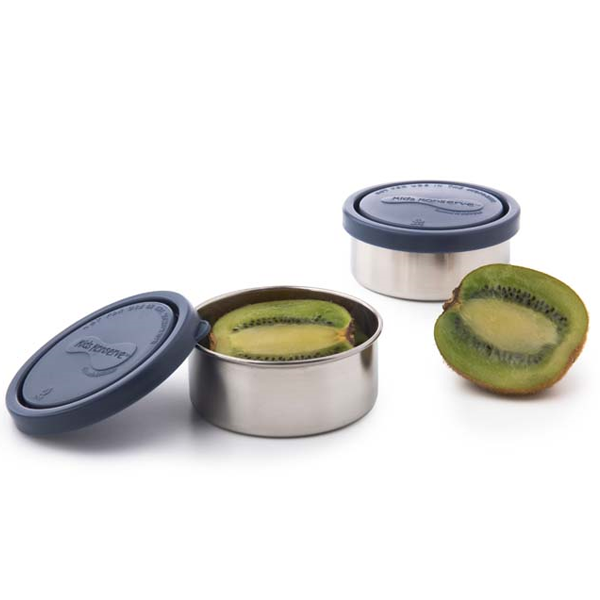 This Set of 2 Kids Konserve Stainless Steel Snack Containers is perfect for school snacks, in the car and in your nappy bag or handbag for work. We use them for nuts and seeds, cut up fruit and raisins and as they are leak proof they are also good for liquids such as hummus, yoghurt or purees. 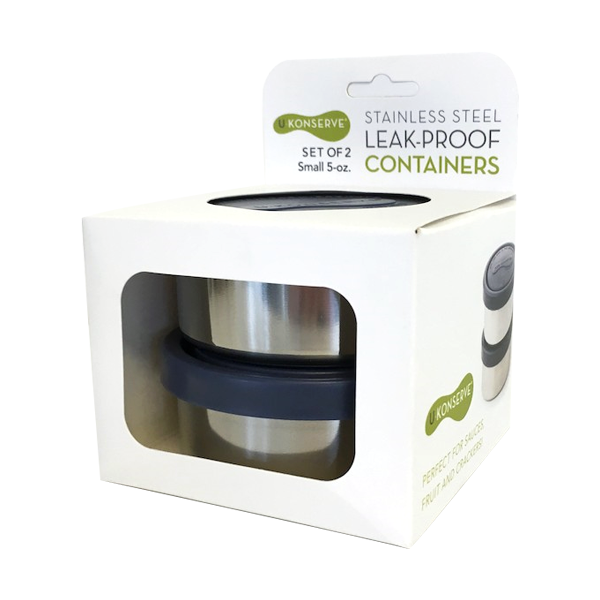 Of course the snack containers are made from durable and high quality food grade stainless steel with non-toxic plastic lids that are BPA free as well as free from phthalates, lead and PVC. 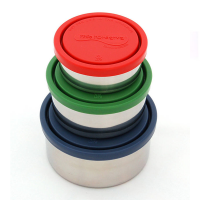 They also co-ordinate with our other reusable food-storage containers, drink bottles and lunch bags making them ideal for putting together healthy packed lunches. Dimensions: 3.5cm x 8 cm diameter. 140 ml / 5oz. Bigger than expected great value! These are bigger than I expected which is great value for us! 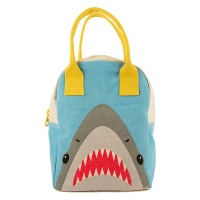 I fit more than one snack in each of these for my little ones. Also use them to store boiled eggs etc too! Definitely going to be getting more! 100% reccomend.